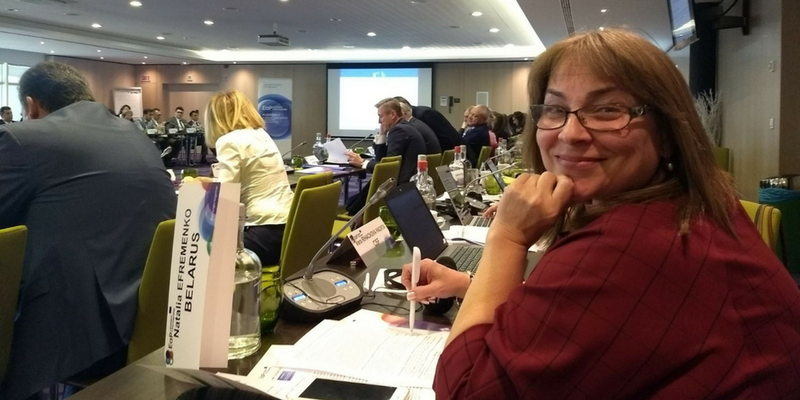 On April 26, Elena Efremenko, from International Foundation for Rural Development (Belarus), and Nino Evgenidze, from Economic Policy Research Center (Georgia), represented the Eastern Partnership Civil Society Forum at the 18th EaP Platform 2 meeting on Economic Development and Market Opportunities. Ms Efremenko presented the main developments in Belarus on promoting economic growth. As the Government controls over 80% of the country’s resources and assets, authorities view entrepreneurship as the main driver of economic growth and jobs creation. In fact, various measures have been taken during the last years to improve business environment. Those reforms include the establishment of a tax moratorium until 2020 for new businesses and the lift of over 600 restrictions on private businesses. She also identified the main challenges for entrepreneurship at local level in Belarus, such as the ageing of the rural population; the inability of SMEs to compete with state subsidised farms; the poor development of the infrastructure; or the insufficient integration of SMEs in the local economies. On the other hand, Ms Efremenko suggested several measures towards a better engagement with local SMEs. She insisted on building capacities among women, rural population, pre-retirement age people or persons with disabilities. She also advocated for the diversification of the types of business activities; equal access to knowledge, infrastructure, resources, services and goods; digitalisation of the small economy; further involvement of SMEs in the development and implementation of local strategies; and encouraging cooperation among SMEs at local, national, regional and international level. Nino Evgenidze spoke about EU-Georgia business projects and programs for SMEs. She raised concerns on the lack of visibility of these initiatives among the population. 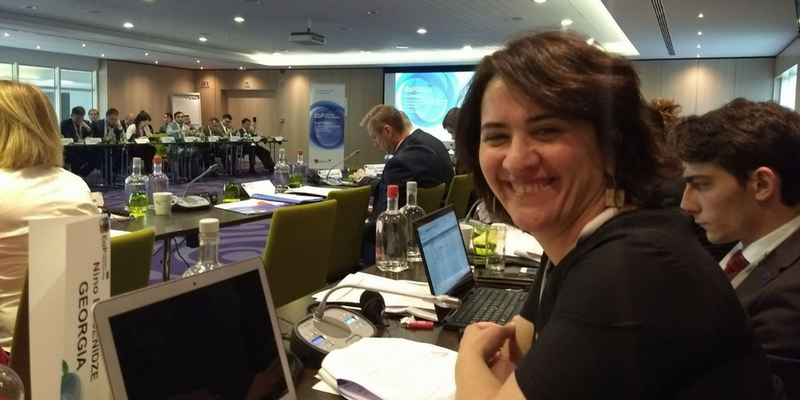 She encouraged Georgian authorities and the EU to launch a joint communication strategy and to maintain civil society informed about the latest developments. Eventually, she pledged for independent and functional courts in Georgia as essential for the business environment.